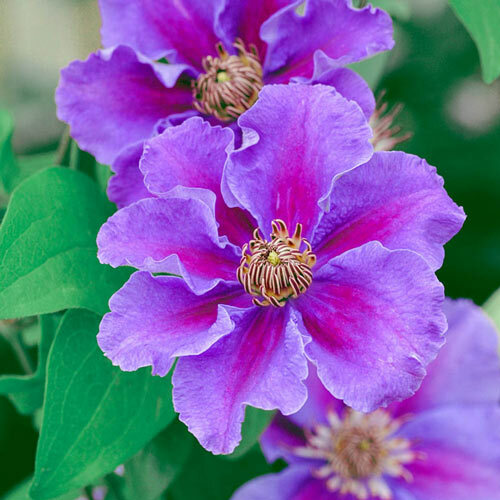 Ashva Clematis is in the GREEN pruning category. It blooms on old and new wood, so prune as often or as fully as you like to promote reblooming. See our Stoplight Pruning Guide for more information. PruningIn our Stoplight Pruning Guide, this variety is in the GREEN category. It blooms on old and new wood, so prune as often or as fully as you like to promote reblooming. 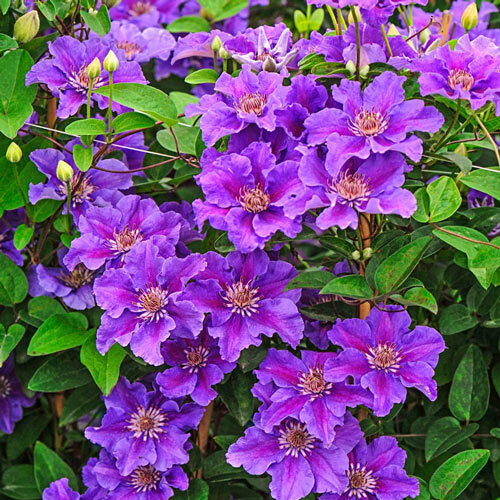 Unique CharactersticsHeavy flowering clematis that produces 2-3" ruffled, violet purple blossoms with a red center. 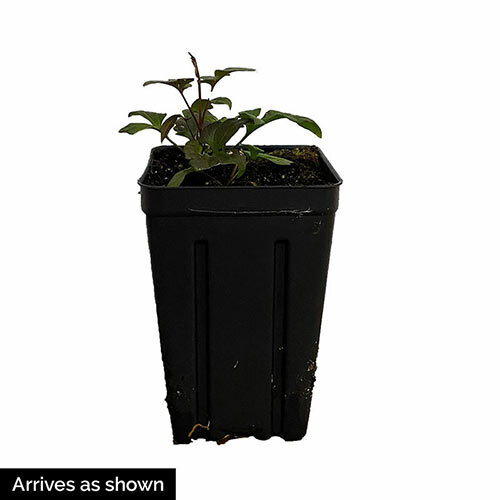 This compact climber with attractive green foliage will start blooming in June through September and even longer and taller in milder climates.